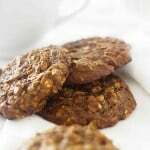 Healthy whole grain oatmeal cookies made with spelt flour. 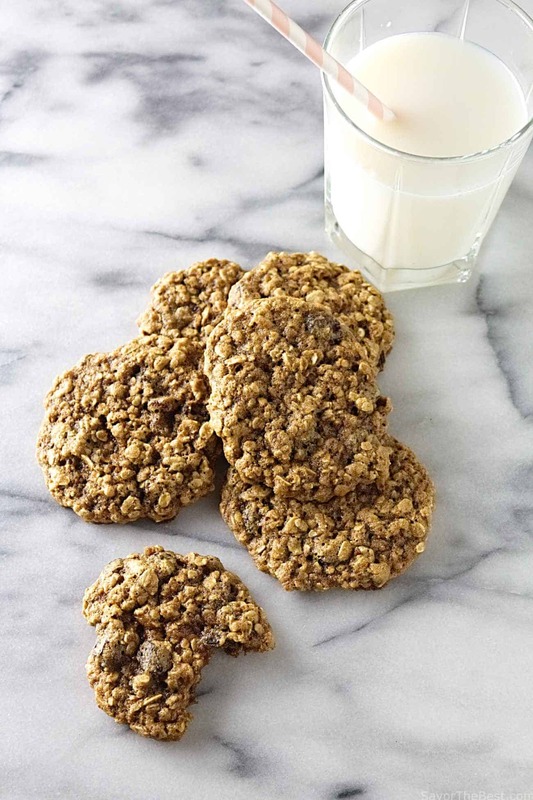 The spelt gives the cookies a sweet nutty flavor and a boost of nutrition. I love baking with ancient grains, they tend to have a more complex flavor and are higher in nutrients than modern grains. Spelt has a delightful nutty flavor that adds an amazing characteristic to baked goods. 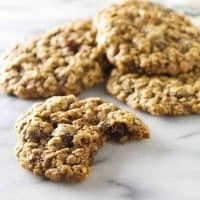 These oatmeal raisin spelt cookies are sweetened with coconut sugar and honey, which adds a rich complexity and earthiness to the cookies. They make a great breakfast cookie. They are whole grain, all natural, have no refined sugar and have healthy monounsaturated fats from the olive oil. Each cookie is under 120 calories and they taste incredible. That’s a breakfast cookie in my book. If you haven’t baked with spelt yet, these cookies are a great place to start and just might get you hooked to use it more often. Spelt is an ancient grain that was used in the biblical days. It is more nutritious than modern day wheat and it is more easily digested. It does have gluten in it but some people find they can tolerate the gluten in spelt much better than modern wheat. The best thing about spelt is the flavor. Whole wheat spelt has a sweet, almost nutty flavor that makes anything you create taste wonderful. 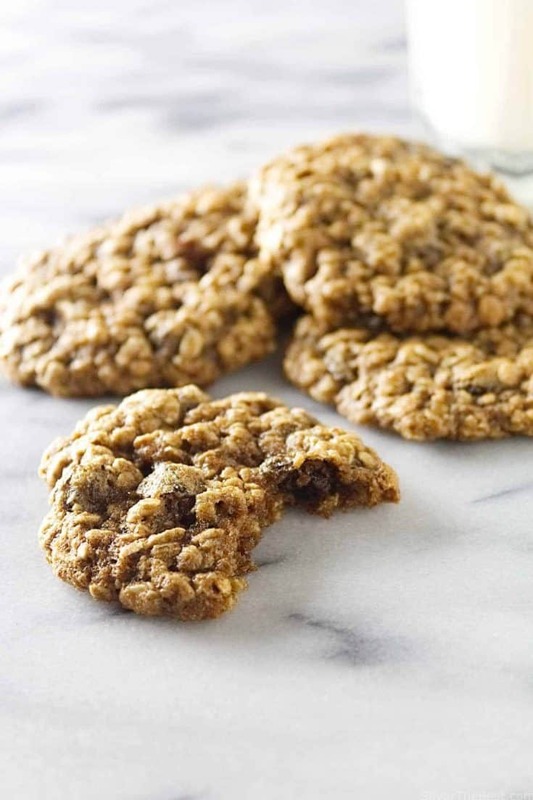 Did you make this recipe for oatmeal raisin spelt cookies? We would love to hear from you. Drop us a comment below. Healthy whole grain cookies made with spelt flour that gives the cookies a sweet nutty flavor and they are only 120 calories each. Pre-heat the oven to 350° and line a cookie sheet with parchment paper or spray it with non-stick cooking spray. In a small bowl, stir together the spelt flour, rolled oats, baking soda, cinnamon and salt. In a separate bowl stir together the olive oil, coconut sugar, honey, eggs and vanilla. Stir the dry ingredients into the wet mixture then stir in the raisins. Scoop out 2 tablespoons of dough and drop onto prepared cookie sheet (I use a cookie scoop that holds 2 tablespoons). Space the cookie dough about 1 ½ inches apart to leave room for a little spreading. Bake for 7 to 9 minutes then cool on a wire rack. I just baked these for a road trip – they are so delicious!!! I used chocolate chips instead of raisins and it came out really well. I love baking with spelt flour, but I don’t usually find too many recipes that use it. Thank you so much for this recipe! 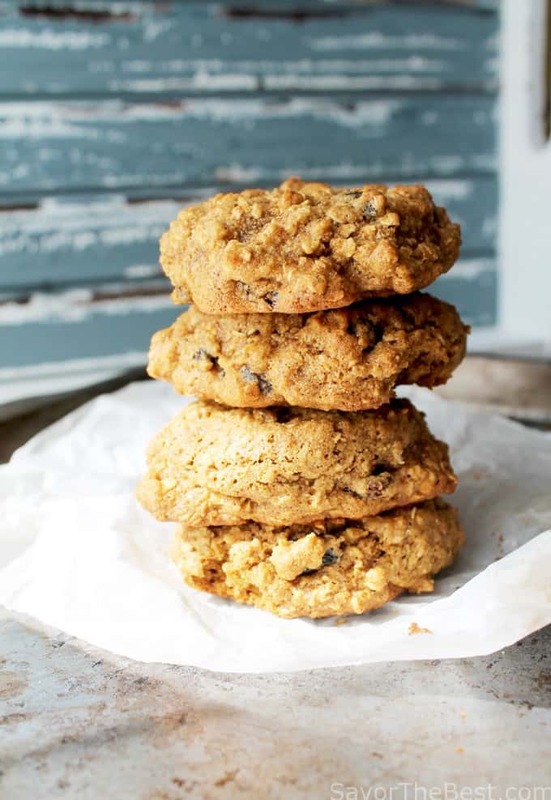 These look so chewy – like the perfect oatmeal raisin cookie! I’ve never worked with spelt before but I do need to try it. Sign me up for one (or three) of these for breakfast! Thank you for the recipe, I never tried spelt flour before, and you made me curious to try. I’ve never used spelt flour before I’ll need to try it, these cookies look delish! I’ve seen spelt at the market, but have never known what to do with it. I think oatmeal cookies is a safe bet! These sound great! 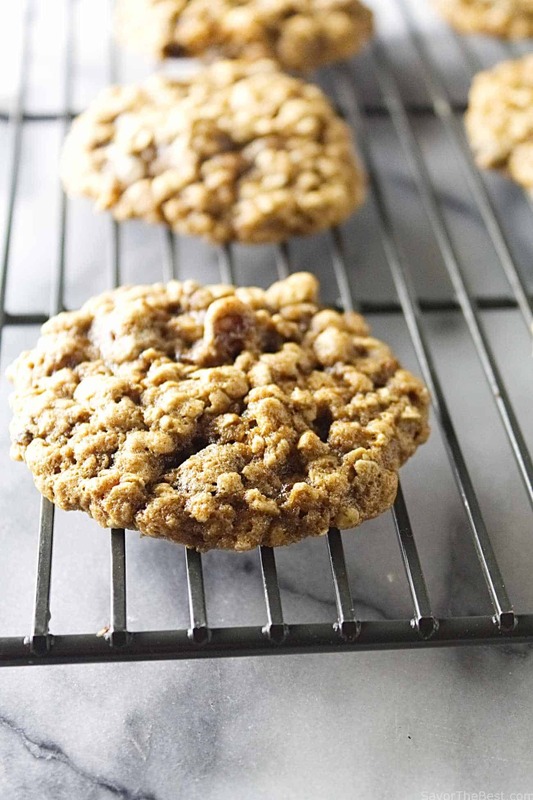 Love oatmeal cookies but never tried making them with spelt flour! Oh Monica, I hope you do try these cookies. You will not be disappointed and there is so much more you can do with spelt. Enjoy! I’ve not cookd with spelt before. Perfect introductory recipe! I love cooking with a variety of grains and bringing back all the goodness of ancient grains. These cookies look amazing. Classic flavors! Would love to try it with other nuts, chocolate chips etc. Super delicious and super healthy. This is what I want for breakfast! I love baking with spelt! These cookies look wonderful! This look so delicious. I’ve never used Spelt flour before. But these look so perfect I think I want to venture out of my comfort zone and try using it . Veena, I hope you do try it, it is worth it. These sound great! I always have the best intentions of broadening my baking repertoire, but then don’t really know where to begin. Bookmarking them for later! This looks simply amazing!! YUM!!! 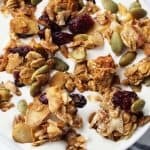 I use sprouted spelt flour pretty much all the time! And I too use olive oil instead of vegetable oil. We are kindred spirits! These cookies look fabulous! !